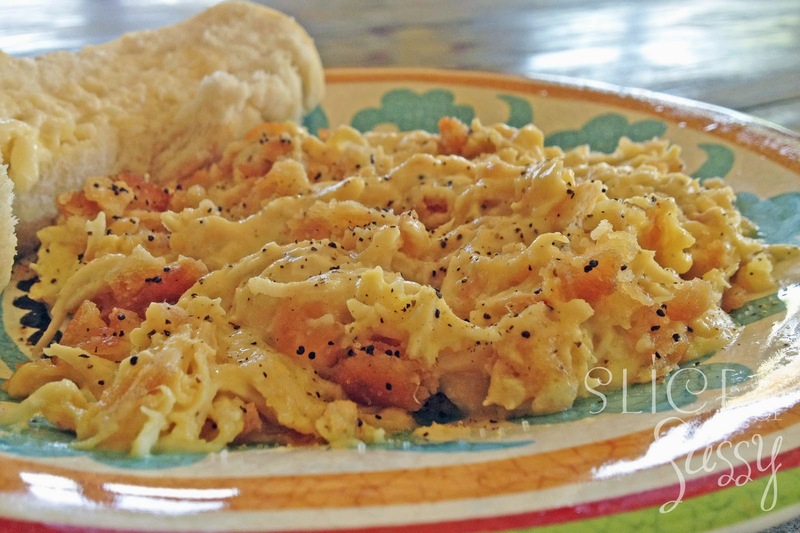 For those of you that aren't from the south, you may not have this recipe. For those of you that are from the south, you most definitely have this recipe but let this be a little reminder of it! This completely carb-loaded happy food isn't something to cook often but it's good every once in a while, it's a great "pick me up" food that will "put you down" on the couch, taking a good, solid nap in no time flat! Preheat oven to 350 degrees and place your seasoned (salt & pepper) chicken breasts in a greased 13 x 9 inch pan. Bake for 35 minutes. Now, isn't that a nice little trick? 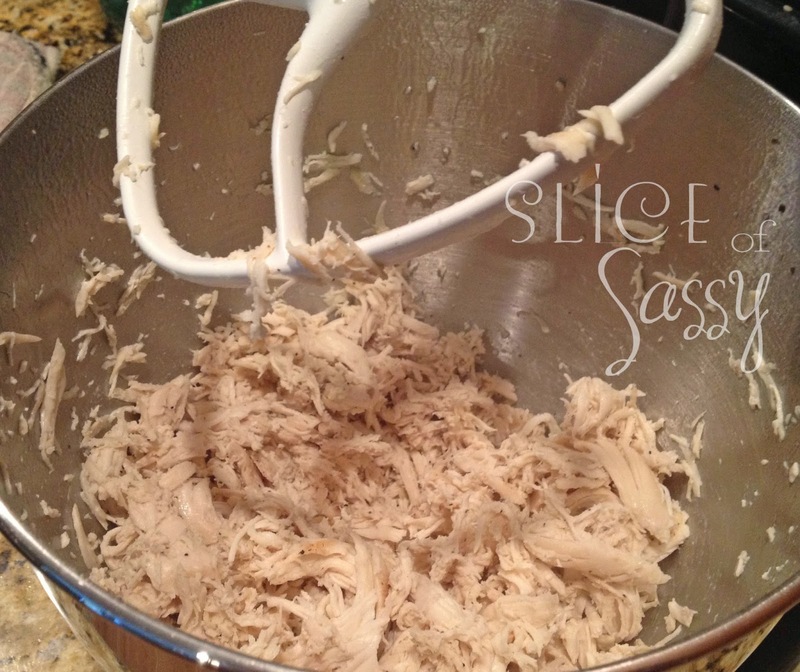 Now, dump your soup and sour cream into the mixer bowl, on top of the shredded chicken and mix it up. Place back into that 13 x 9 inch pan. Crush crackers and crumble over the top of the casserole. Sprinkle poppy seeds over crackers and drizzle melted butter evenly to cover the entire dish. Bake at 350 for approximately 30 minutes. Yields 6 servings.